Columbus, Ohio is one of the fastest growing cities in America. As the 14th largest city in the country, Columbus has seen an explosion of growth over the last decade, becoming the only large northern city in the U.S. to grow more than 10% from 2010 to 2017. To the outsider, this may be surprising, but as a business owner in the Buckeye City, you have experienced firsthand the energy that radiates from Columbus, Ohio. From the eccentric Short North Arts District to the historic German Village, there is always somewhere new to explore in this booming Midwest city. Residents and visitors alike flock to local attractions, such as the world-class Columbus Zoo and Aquarium and Franklin Park Conservatory and Botanical Gardens. You’ll also find no shortage of local sports fans cheering on The Ohio State Buckeyes or Columbus Bluejackets on any given week. With numbers like this, it’s important to take a targeted approach to your Columbus, Ohio advertising strategy. So where do you begin? You’re passionate about all the great things Columbus, Ohio has to offer. That’s why, when it comes to advertising for your business, you want to work with a local advertising agency that understands the ins and outs of the city like you do. Local advertising agencies in Columbus, Ohio, such as Fechtor and Cement Marketing, have small teams with limited areas of focus while other agencies like Northlich and SBC Advertising focus on big businesses with even bigger marketing budgets. Where does this leave your business? Our team of advertising experts live and work in Columbus, giving them unmatched experience and expertise into which advertising solutions work best for local businesses. You can trust them to recommend the most effective offers, frequency and mailing areas and provide accurate performance feedback. Contact Valpak of Central Ohio today and see for yourself why business owners in Columbus trust Valpak with their advertising needs. 1. Compared to the average Central Ohio consumer. Claritas data with current year projections, January 2019. For more than 50 years, Valpak has been the leading expert in print advertising. As consumers and technology have changed, we’ve continued to change with them. Today, Valpak of Central Ohio is the one-stop shop for all your marketing needs. We start by identifying your goals and needs to build the best marketing strategy for your business. Our team of experts will work with you to target households in Columbus, Ohio that are a good fit for your business based on income and purchasing behavior. With industry-leading advertising design principles, we’ll create a strategic marketing campaign that captures your unique brand identity and drives consumers to act. Valpak of Central Ohio has the solutions you need to grow your brand power and customer base and to reach the right customers in the places they search and shop. Our team of advertising experts will help you control your online presence with digital solutions that include digital search advertising and social media management. When you trust Valpak with your marketing, you trust dedicated, on-trend experts who know how to create and manage the solutions for your unique preferences. Valpak of Central Ohio helps you reach your customers directly. Through historical data, we can recommend the best offer for your business depending on the time of year. We can also help you determine frequency, reach and the results you can expect to achieve. With our print products, it’s all about you. Your business and your offer will be center stage and you won’t have to share the spotlight with anyone else. Among the households that receive Valpak, 9 in 10 (92%) open and look through the envelope and 82% of those households look at every insert inside it.2 Valpak envelopes randomly include $100 checks to drive open rates and reward consumers who look through the envelope (and at your offer). Your marketing campaign doesn’t stop when your ad hits homes. Valpak of Central Ohio offers performance tracking and analytics for insight into how consumers are responding to your marketing efforts. Track calls, website traffic, clicks, prints and more in one easy-to-read dashboard. With your marketing dashboard, you see what we see: the successes and the opportunities. There are no secrets or mysteries when it comes to your Valpak campaign because we want your marketing to work as much as you do. We’ll provide and interpret your results and adopt strategies to optimize your campaign for success. Contact your local Columbus, Ohio advertising consultant to get started on your Columbus marketing campaign today. Reach 540,000 targeted households monthly in Columbus, Delaware, Marysville, Plain City, Dublin, Worthington, Sunbury, Johnstown, Reynoldsburg, Pickerington and more Central Ohio cities with Valpak of Central Ohio. Shaded areas on the map below denote a Valpak NTA, or mailing area, of 10,000 homes. For specific dates and coverage, contact your local Columbus, Ohio advertising specialist. 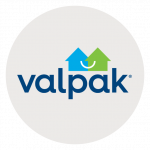 Valpak of Central Ohio is an independently owned Valpak franchise. Budget Blinds of Worthington and Upper Arlington has been advertising with Valpak of Central Ohio since 2011. Owner Krista Guagenti decided to advertise with Valpak after other local franchises recommended Valpak to her as a top Columbus ad agency. Krista’s business grew over 350% from 2011 to 2015, which she attributes to Valpak and the number of leads brought in through her marketing campaign. Krista would recommend Valpak for any Columbus advertising needs.